As some of you may or may not know, this year my goal is to only support companies that align with my vegan lifestyle, buy less stuff in general, thrift a lot more and to stop buying any fast fashion (the stuff I already own I will continue to wear until it falls apart but won’t be purchasing anything new from said stores). With wanting to consume less, when brands reach out I really have to ask myself “Is this something I will actually use or wear?” If the answer is no, then I politely decline the offer. “Inspired by art, architecture, movies, vintage jewelry, the runways, and (our favorite muse) color, Deux Lux strives to bring grace and whimsy to every collection in a way that is accessible to all women. 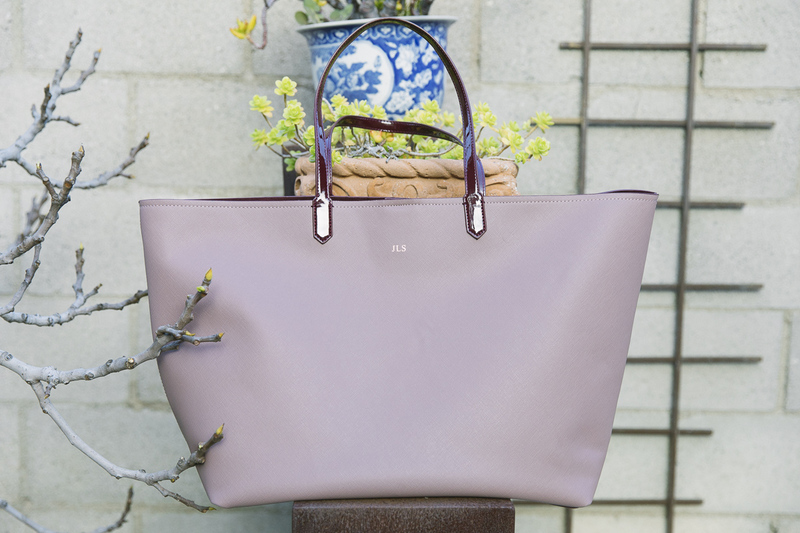 Deux Lux bags are always designed with the word “happy” in mind and their universal appeal is the reason they can be found the arms of women from Tulsa to Tokyo. Also…they can monogram your bag, which I think adds such an awesome personal touch. Monogramming is great for gift giving as well. I got the Annabelle Tote and I love it! 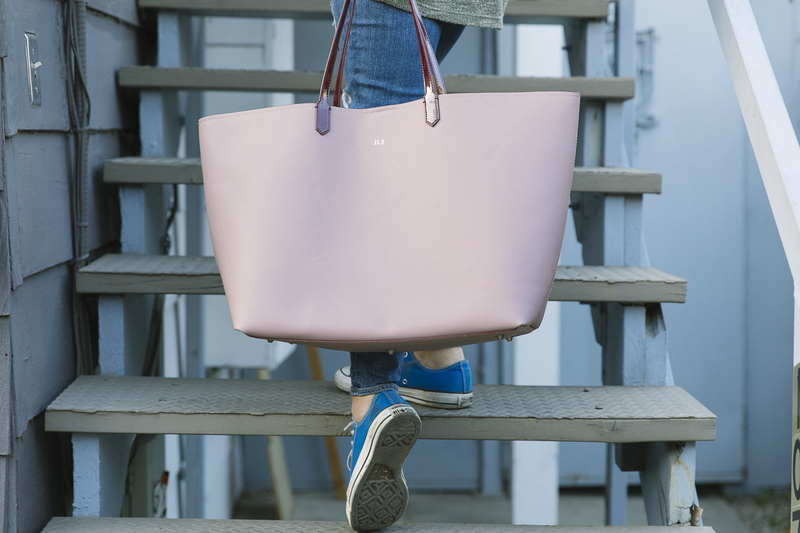 It’s a pretty big bag so it’s perfect if you want to throw your computer in your bag, pack all your clothes for the weekend or use it as a beach bag. It also features a cute little coin bag/wallet that can be detached. Be sure to check out their website here.